Such understatement was English, and could only have been the work of Crick. To me, it encapsulates everything that is good about the communication of science. It is well written, it is economical, and it makes the hairs stand on the back of your neck when you read it, thrilling you by the sheer wonder of it all. What happens next? After that sentence comes the development of a whole new science, new technologies, new inventions and further discoveries that have helped us understand who we are, by showing us, more precisely, what we are. To emulate that sentence has been my goal in my science writing. I have never matched it, but I’m still working on it, just as I have been ever since I met the man who wrote it. In 1993, I was a post-doctoral research fellow at UT Southwestern in Dallas, Texas. 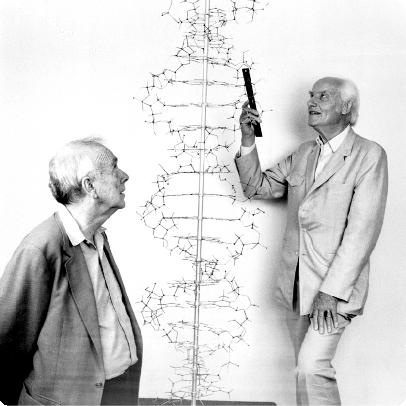 On one of the many air-conditioned afternoons in the lab, we were told that at a forthcoming molecular genetics symposium the keynote speakers would be Watson and Crick. Now, many of the great and the good in science had come to Dallas to give seminars, even in the year that I had been there, but this was different. 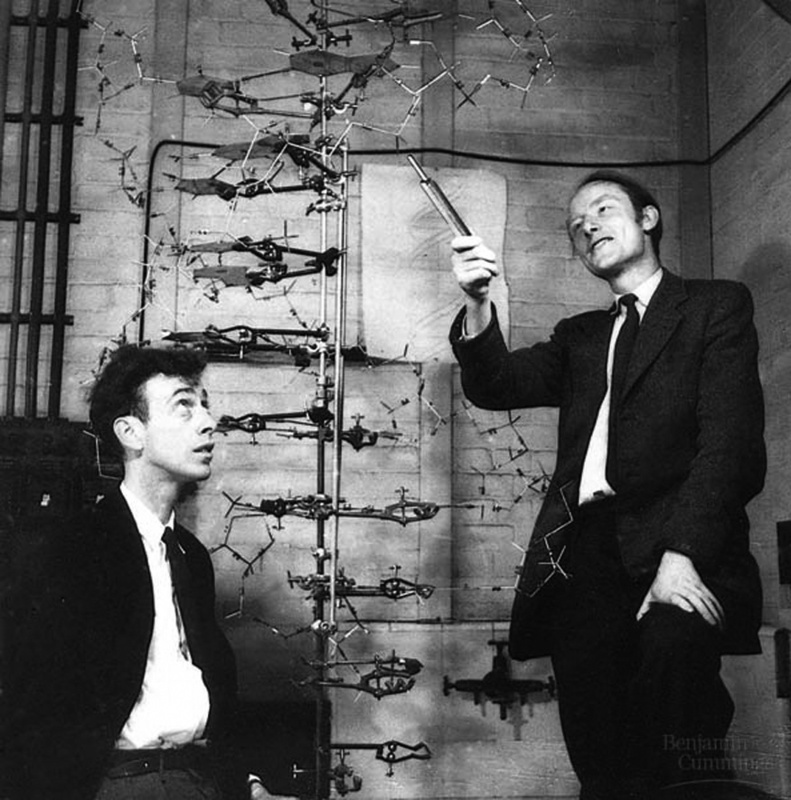 Watson and Crick were mythological. Yes, they had won the Nobel Prize in Medicine or Physiology in 1962, but so had others. My two bosses, Joe Goldstein and Mike Brown had pulled off the same feat in 1985 and several other members of the Nobel Club worked in the building or had been part of that cavalcade on the Dallas seminar circuit. No, Watson and Crick were beyond that, for they had not simply won a Nobel, they had discovered the structure of life itself. In physics there was Einstein; in Biology there were Watson and Crick. And, they were coming here. Would we attend? Of course. Would we like to meet them? Are you kidding? Wouldn’t we be burned by getting that close to the sun? The symposium came and we downed pipettes for the day and attended. And, we hung on every word that dripped from their mouths. In the coffee break we mingled and so did they. I had decided that it would indeed be wonderful, if a little frightening to meet and speak with these two titans. Partly as a souvenir, and partly as an insurance policy to ensure I plucked up the courage to talk to them, I had gone to the university library the day before and made a photocopy of their seminal paper describing the structure of DNA. My intention was to have it signed. Anxious to speak with Watson, I joined the huddle around him and worked my way closer to the great man. Finally, I got to speak. I can’t really recall what inanities I uttered but it was flattering and saccharine and he’d heard it all before and said as much with a sneer. I asked him if he would be kind enough to sign my copy of his 1953 paper. He snapped that he was drinking his coffee. This I could see and I apologised politely. I waited, however, for I wanted the evidence of my climb up Mt Olympus and my meeting with the gods. He drained his coffee cup and snatched the paper and put his signature on it. I thanked him for his kindness and left him in peace, or at least in as much peace as someone so obviously grumpy could muster. But, I needed two gods to sign my paper. I peered around the room on tip-toes, trying to look over the heads of the bustling coffee crowd to find the tall, white-haired head of Crick. Nowhere. The meeting was due to restart and I wondered if perhaps he had already re-entered the lecture room. I escaped the crowd and sure enough as I pushed through the swing doors of the auditorium I found him entirely alone taking the seat reserved for him in the front row. “Professor Crick. I wonder if I could prevail upon you sir to sign my paper?” He knew I wasn’t an American, he smiled and shook my hand. He was a tender grandfather of a man, the opposite of his spikey, co-author. “Where should I sign?” he asked. He scanned the familiar paper and answered his own question, “Oh, probably under Jim’s name” spotting Watson’s freshly scribed signature. But, with a quirkiness and disregard for the norm that probably helped him achieve what he did, he chose to sign to the left of Watson’s signature, thus leaving the greatest discovery in biology re-ascribed. Crick was a gentleman willing to take a few moments to make a post-doc he had never met feel special. Watson, on the other hand, was interested in the sound of his own voice and was rather captivated, I thought, by his own celebrity. When they spoke at the symposium, it was Crick who gave the inspirational and considered presentation. Watson resorted to sensationalism and it was Crick – who else on the discussion panel could have done it? – that took him to task when he felt he was not answering the question. I liked Crick; I did not like Watson, and I am more than pleased to have hanging on my office wall today a copy of their 1953 paper signed not “Watson and Crick”, but much more appropriately, “Crick and Watson”. The mistake people make is they think history is about the past. 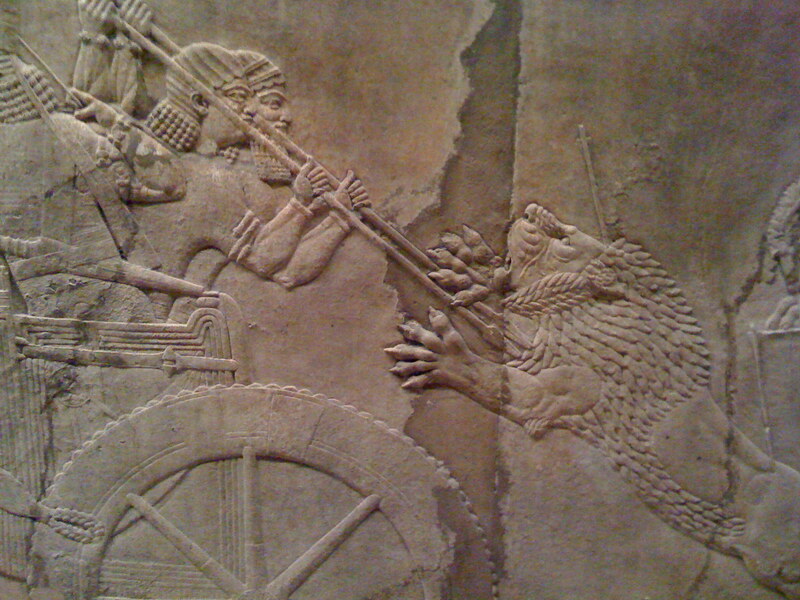 History, for most, is a story of the dead: how they lived and died, and how they fought and loved and sang. For me, history is the story of the now. Every single object, idea and person today is the product of a process. This process may be thought of as a production line. It may also be imagined as a creative explosion or as some flavour of evolution. But, however you think of it, it is a process that may be called history. Confucius, the ancient Chinese sage, said we must study the past to define the future. However, it is much more immediate than that — I believe we must study the past in order to understand the present. As a child I wanted to be an archaeologist. In truth, I wanted to be many things and the ambitions to uncover the bones of our ancestors lost out in the end to a more contemporary study of bones, when I chose to read medicine at University. But, I remember well the wonder of watching the painstaking work of the archaeologist on television, brushing away the soil from a fragment of pottery embedded for millennia in the earth. Slowly, an object would be revealed, it would be washed and it would be held up to the camera and explained. A drawing would be shown that would place the fragment in an imagined reconstructed context. The fractured shard of pottery was now a ewer once held and used by a young girl collecting water from the well for her village — a girl and a village without a name. Suddenly, that nameless individual lived again in the here and now. Archaeology it seemed was about discovery, or rather re-discovery, of what had lain dormant for ages. It was about bringing to life the dead: a re-animation of the past. What could be more exciting than giving life? However, what it was really about was finding a new piece of our own story. I believe we are who we are because of where we have come from, and a piece of broken pottery, a golden bead from a necklace or a fragment of human bone is part of that journey and very much part of the now as soon as it is discovered. We may stroll through the dimly lit halls of our great museums and stare through glass at the past. But, we are not looking at the past; we are looking at the present. These artefacts exist —ask any museum curator and they will tell you just how much they exist and how much they cost to keep existing. The astonishingly carved stones of ancient Greece that so controversially adorn the walls of the British Museum in the form of the Parthenon Marbles are a perfect example. If they were merely the past would their ownership be so contentious? It is because they are very much part of the present that we care. Greece wants them back because they help define who they are now, not who they were. These objects, of course, tell stories. It is in their telling, however, that they become part of our present. We find explanation and example in the tales of our forebears. We are cautioned and encouraged by them in equal measure. But, when we hear these stories what we are most assuredly not doing is merely listening to the past. The stories we “hear” are our own stories and we use the artefacts of history to remind us of them. This idea of the past as an aide memoire of the present may be counter-intuitive. How can we remember what we never knew? My argument is simple. I am not talking about the details of life in ancient Rome or of Napoleon’s army or of the icy decks of the Titanic as it slipped into the freezing waters on the north Atlantic. I am thinking about the broader sweep of human nature; the bigger picture. We use history to remind us of what we already know about ourselves as humans. We may hear ancient voices telling us about the inhumanity of one man towards another, but we already knew just how cruel people could be. We may listen to the painted stones telling us about how powerful love can be, but we already knew of the passion that could drive one man to sacrifice himself for another. We may study ancient texts to read of remarkable feats of invention, but we already knew how creative and wondrous the human mind could be. We already knew all these things, but history reminded us of them. The importance of history is to spotlight the present, highlighting both the good and the bad. And, in so doing it also serves to remind us that we are not alone. For me this is one of the greatest gifts of history. To know that we merely stand at the head of a very long line of people, exactly like us, with the same fears and hopes, dreams and ambitions, and the same capacity to hurt and to heal, is enormously comforting and simultaneously unsettling. Those hands stretched out to us across the years that fit so perfectly in our own and feel so familiar support us. But, knowing we occupy our place at the head of that line for all too brief a moment before relinquishing it to the next generation can only remind us of our mortality. Our tenure of the present is fleeting. My childhood ambition of becoming an archaeologist of the past has never really left me. I still love reading about the past, I am thrilled by handling an old coin and I simply adore dinosaurs. I now realise, however, that my love of history and my attempts to listen to those long gone and to learn what they have to teach me is a different form of archaeology — an archaeology of the present. 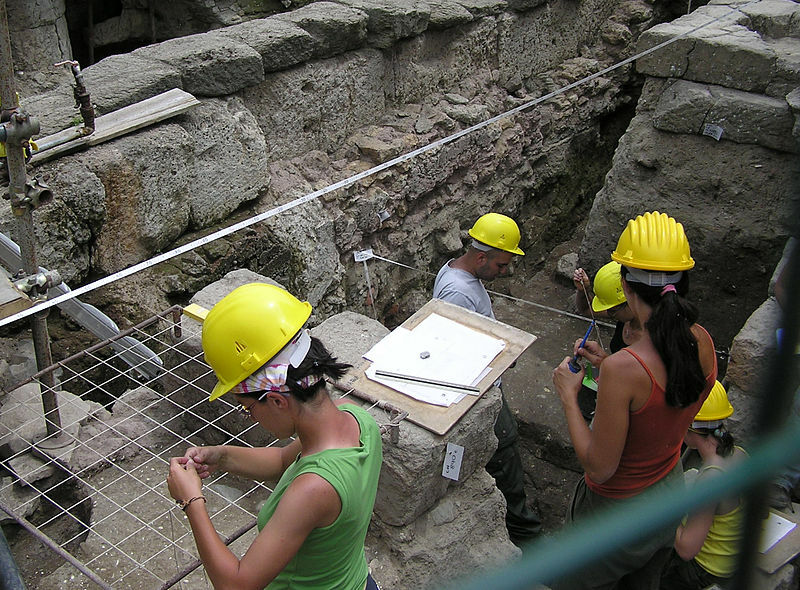 I wanted to be an archaeologist, and I find that I am. I don’t dig in the dirt to find the past, for I don’t need to. I simply look inside and listen.